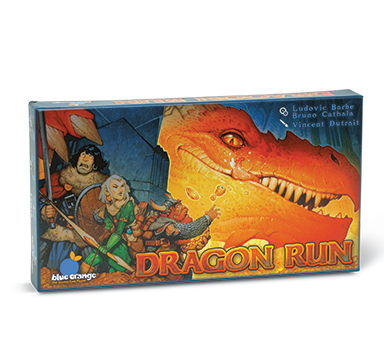 Dragon Run is a push your luck card game where players take the control of a group of adventurers, who after a long and profitable journey into the depths of a dungeon, have started to realize that they are not alone. The dragon has awoken and is eager to protect her treasure! 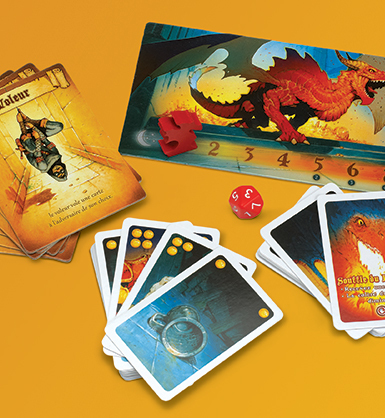 Each turn, you will choose to either charge forward into the dungeon in search of new treasure, or advance cautiously to try and avoid the dragon's detection. Escape with your life while still carrying more treasure than your opponents to win the game.